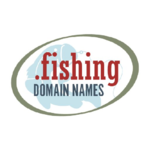 .fishing is a proposed TLD in ICANN's New gTLD Program. The string was originally applied for by both MMX, also known as Minds + Machines, and Demand Media, though the former prevailed in a private auction in August 2013, held by Innovative Auctions. The total amount was not disclosed, though the 8 total auctions that were cumulatively valued at $9.65 million. The proposed MMX application succeeded and was delegated to the Root Zone on 31 March 2014. .fishing is a new generic top-level domain targeted to fishing industry professionals and enthusiasts as well as for use in by sporting goods and fishing equipment brands. The .fishing TLD is open to the public with no restrictions. .fishing was delegated to the Root Zone of the DNS on 31 March, 2014, and launched into GA on 15 September 2015. On November 21, 2013 MMX received a Registry Agreement signed by ICANN for .fishing after passing the Initial Evaluation. This page was last edited on 7 December 2017, at 18:20.